A brilliant, groundbreaking report on the dramatic rise of allergic and autoimmune disease, and the controversial therapies scientists are developing to correct these disorders. From asthma to Crohn's disease, everyone knows someone who suffers from an allergic or autoimmune disorder. And if it appears that the prevalence of these maladies has increased recently, that's because it has--to levels never before seen in human history. These days no fewer than one in five--and likely more--Americans suffers from one of these ailments. We seem newly, and bafflingly, vulnerable to immune system malfunction. Why? One possibility is that we have systematically cleaned ourselves to illness; this belief challenges deeply entrenched notions about the value of societal hygiene and the harmful nature of microbes. Yet scientists investigating the rampant immune dysfunction in the developed world have inevitably arrived at this conclusion. To address this global "epidemic of absence," they must restore the human ecosystem. This groundbreaking book explores the promising but controversial "worm therapy"--deliberate infection with parasitic worms--in development to treat autoimmune disease. It explains why farmers' children so rarely get hay fever, why allergy is less prevalent in former Eastern Bloc countries, and how one cancer-causing bacterium may be good for us. It probes the link between autism and a dysfunctional immune system. It investigates the newly apparent fetal origins of allergic disease--that a mother's inflammatory response imprints on her unborn child, tipping the scales toward allergy. 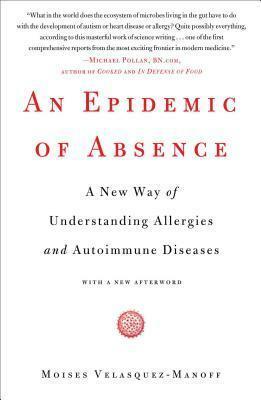 An Epidemic of Absence is a brilliant, cutting-edge exploration of the dramatic rise of allergic and autoimmune diseases and the controversial, potentially groundbreaking therapies that scientists are developing to correct these disorders.